It’s definitely winter in most of the country – below freezing temperatures, brutal wind chills, and snow, snow, and more snow. Even in the South, we’re having nights below freezing. It’s also cold and flu season. And one of the best ways to warm up – as well as help you through a cold (or just boost your immune system) – is to eat homemade chicken soup. Whether you call it Jewish penicillin or Italian love in a bowl, it’s always yummy! Here’s my recipe for Italian chicken soup. It’s definitely good for what ails ya! 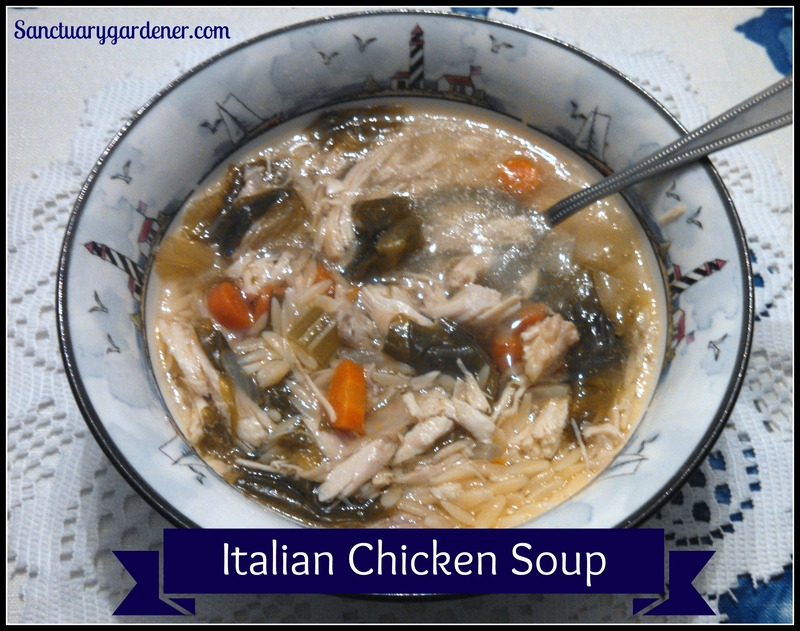 Italian chicken soup recipe!